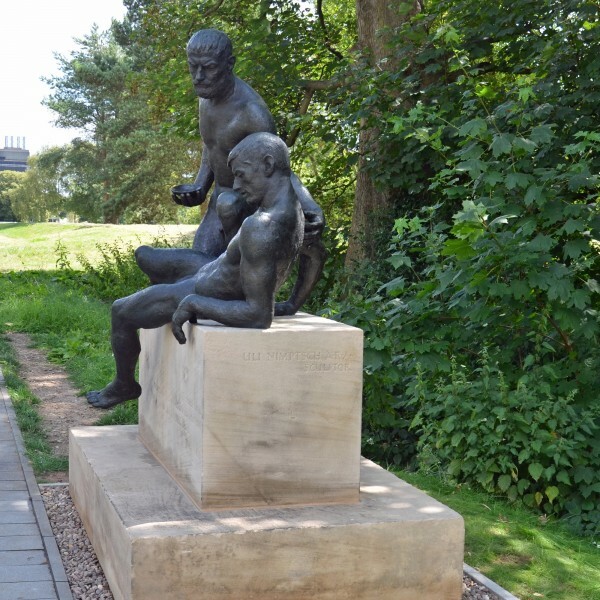 ‘Compassion’ by Uli Nimtsch, Bronze on sandstone plinth. 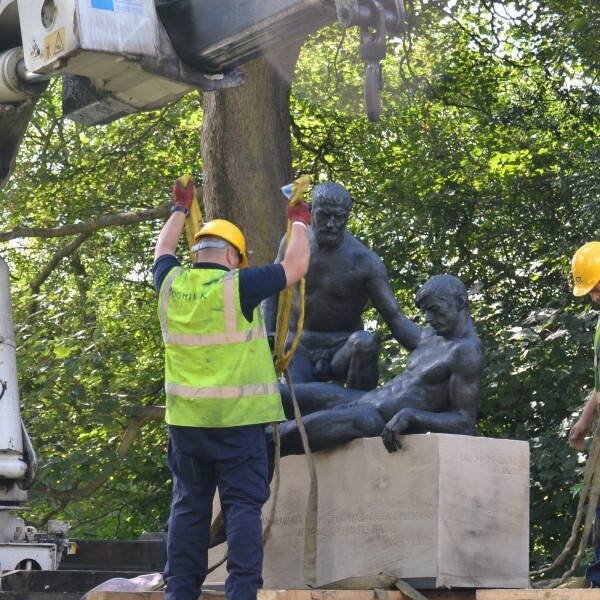 The sculpture was removed from site and taken to our workshop where it was cleaned using a doff system which applies pressurised steam to the surface. This removed surface dirt and wax from the bronze, and biological growth and surface dirt on the sandstone blocks. The blocks were further cleaned by applying Laponite RD ( a water based poultice) to the stone surface, coved with clingfilm, and left on the surface for 24 hours before removing with water and a soft bristled brush. The bronze figures were hot waxed using a brown tinted wax followed by Microcrystaline wax, then buffed. 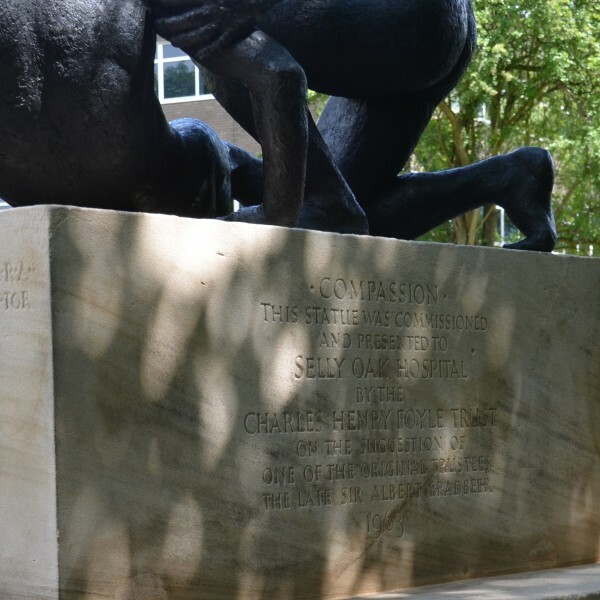 The finished sculpture was then returned and reinstalled in the grounds of Queen Elizabeth Hospital, Birmingham.